Celebrating my Inky Polar Bear hand drawn illustration, this large double-sided chopping board with a handle adds a splash of colour to any kitchen. 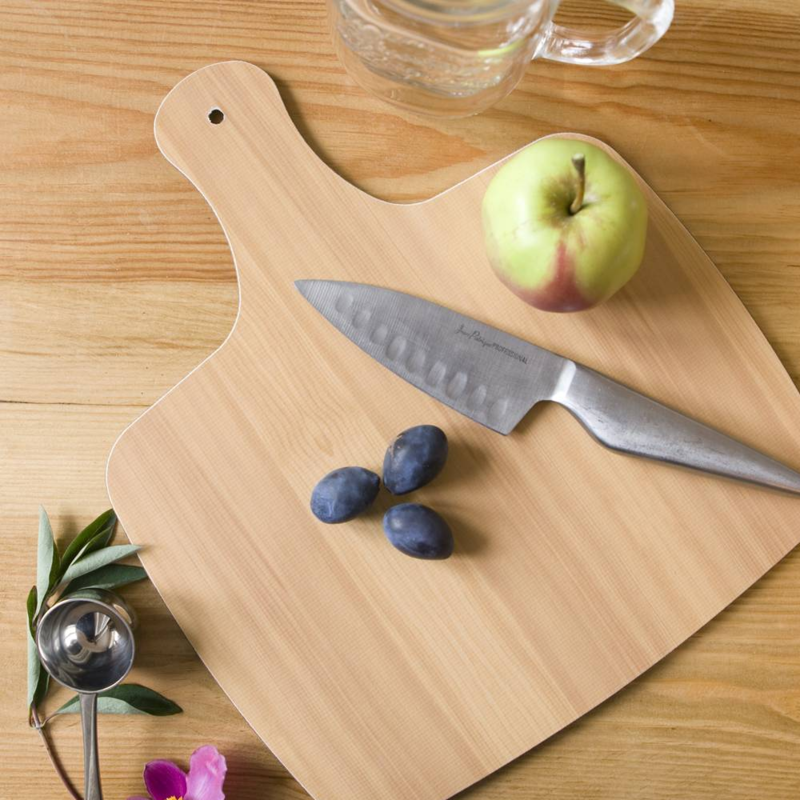 It can also be used as a hygienic butchers block, colourful cheese board or trivet, and is made in hard-wearing matt melamine with a natural wood-effect back to the highest quality in the UK. All of my designs are created using the same method. Bamboo grows in the garden, which I cut and hand carve into dip pens. Using lots of different coloured inks, I create nature focused illustrations. 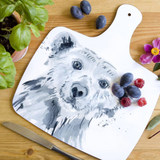 Perfect for nature lovers in the Christmas kitchen, they look great displayed in a plate rack!